Our garage door hasn’t worked properly since its installation on the new house back in May of 2016. It frequently fails to open all the way, i.e. goes up 6 inches and just stops. Push the button a few times and it does the same thing repeatedly. You end up having to go and ‘help out’ by pushing up on it while it’s negotiating those first 6 inches. The door also doesn’t much like to be closed. It’ll go down about 3/4 of the way and then suddenly reverse direction. If you’re not on the garage remote to stop it, it’ll go all the way back to the top again. 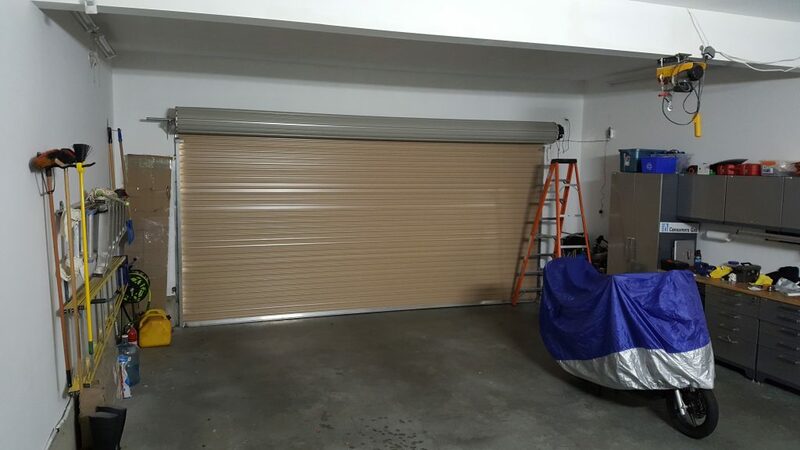 So, we, of almost never-ending patience, finally called The Garage Door Guy and made an appointment to have the darned thing fixed after over a year of dealing with the door’s wonky ways. He didn’t show. He also didn’t call afterwards to apologize and reschedule. Another month passes and we decide to try The Garage Door Guy again. Made an appointment for The Garage Door Guy to come this morning and ended up with the same bloody deal. Waited for him to show up, but again he’s a no show, and we didn’t get a call either before the appointment time or afterwards. Ed: “I read the manual”.